Sometimes I envy my Christ-y Christian friends their habit of telling people in distress “I will pray for you.” Coming from someone you trust, from someone whose God is love and whose worship is nurture, those words can be comforting. The nervous chatter that I tend to fall into when people tell me their troubles comforts no one, I’m sure. Last year Mrs Acilius and I visited a Quaker meeting in Seattle (Seattle-ite readers might want to know that it was University Friends Meeting on 9th Avenue NE.) University Friends Meeting is unprogrammed, which is to say that the meeting for worship consists of whoever shows up sitting quietly together until someone feels the need to say something. That person stands up, speaks, then sits down. The silence resumes. One man stood and told the group what he does during silent worship. He thinks of a person he knows and cares about. He tries to picture that person in his mind’s eye. He holds that mental image, the person in front of a plain background of white light, as clearly as he can for as long as he can. That’s his way of praying for someone. Since there are no words involved, he doesn’t wish anything on the person. I’ve tried this meditative exercise quite a few times now, and I can recommend it. Not only do I not spend that time thinking about ways to turn the person I’m thinking of into a different sort of person, but after a few moments any desire I may have had to control the person fades away. Instead, I become more willing to listen to whoever it is I’m thinking of, to accept him or her as s/he is and to respect his or her own power of decision. I think this is where silent meditation in general has an advantage over language-based forms of prayer. If we are to live life as it comes at us and to accept people as they are, it will be because we are able, first, to distinguish between those few things we ought to control and the infinite number of things we ought not to control, and, second, to show respect to that which we ought not to control. We should respect other individual humans, other cultures, other countries; non-human animals, non-animal life, and the ecological systems in which they thrive; the world of the past, the possibilities of the future, and the immensities of space. I’ve often thought that the reason I’m more relaxed outdoors in a natural setting than inside my apartment or my office is that when I’m in a space that belongs to me, my eye constantly lights on things I might control, or that I have controlled, or that I should control. There’s the computer; I might control that, and do any number of things. There’s a bookcase; I bought those books and put them into order on the shelves. There’s a pile of papers; I should file them in an orderly way. Outdoors, I see the trees, the soil, the sky; they get along quite all right without my control. When we produce language, whether by speaking or signing or writing, we are faced with a continual series of decisions, of factors subject to our control. Which words we use, how we structure those words into sentences, which other participants in the conversation we acknowledge and how we acknowledge them, these are all matters we try to control precisely. Language, in turn, is a tool we use to control our world, by classifying knowledge, developing social networks, and crafting tools. Language can be a tool we use to control each other. Because language is so bound up with the idea of control, no one who prays in words is ever more than one step away from trying to cast a spell. Silent meditation, on the other hand, is a way of letting go, of renouncing control. Through it, we become more aware of our surroundings as they are and less concerned with the way things used to be or the way they ought to be. Silent meditation may be a tool of some kind, but it certainly is not a tool for remaking the world in one’s own image. In silent meditation, we may even let the world remake us. I much prefer hearing nervous chatter than “I will pray for you.” Nervous chatter is immediate and real. “I will pray for you” sounds condescending and dismissive, even from a friend, IMO. It’s as if the friend (or stranger) thinks if they remember, later on, to casually drop a thought-note to their imaginary god of choice, my life may be made easier and more pleasant- while all my own real work and effort is somehow worth less. 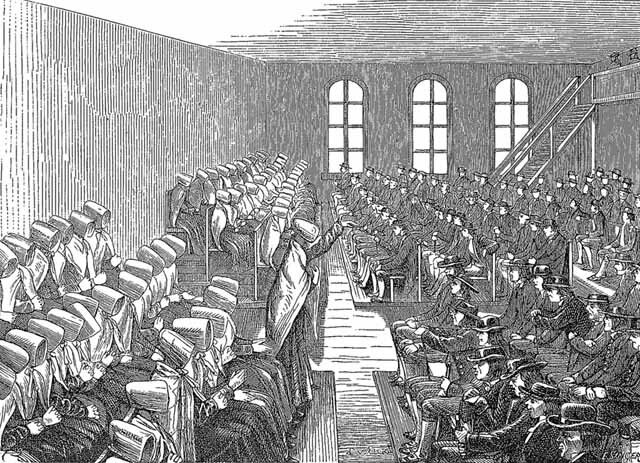 Great Quaker-y post, from what I understand of Quakerism. I bet it would also sound great if you stood and read it at your next Friends prayer meeting, including the “Sometimes I envy my Christ-y Christian friends . . ” part. Perhaps some of your Christ-y Christian friends will give you pointers on becoming more Christ-y Christian-y. ““I will pray for you” sounds condescending and dismissive” So would you say it’s going too far to say that “you may hear ”I know what’s good for you and am looking for an opportunity to impose that agenda.” Or, “I wish I could use God as a means to control you and make you into the sort of person I like.””? No, it’s not going too far. Every Christian friend I’ve ever had revealed their Jesus agenda sooner or later. When they realized I wasn’t going to be another notch on their Jesus belt, they disappeared. A- I also enjoy thinking about that meeting house. I hope we can go back soon. I am so glad you have found a way to pray that makes you feel good. I never thought of praying as being a form of control. I strive to leave the results in God’s hands, because I don’t think I know what is best; However, I do sometimes ask for specific things when praying. I now hope to ask myself why I am asking for that. If I am wanting to control something I hope to switch to silent meditation. Thanks for making me think. I love and respect you. I love you too! Thanks for the comment. When you do this, do you think of it as meditation (within yourself) or prayer (to god/gods)? No, I don’t. Meditation clears the mind of of propositions. You may start an exercise with some ideas rattling around in your head that may be true or false, but as you meditate those ideas will fade away. They may leave mantras, words or images for you to focus on, or they may vanish without a trace. But what they won’t do is persist as mental statements. If you classify meditative exercises as prayer, as many Quakers, Buddhists, and adherents of other mystical traditions do, that may mean that you see it as communication with some or other supernatural entity, but even if you do see it that way it’s non-verbal communication. Meditation no more involves committing oneself to particular doctrines than does smiling. So when you meditate as you describe, are you are praying to god/gods? “So you are referring to the strict definition of “meditation,” not the common “I will meditate on this until I figure it out.”” Yes, that’s fair. “So when you meditate as you describe, are you are praying to god/gods?” Dunno. If it wouldn’t sound flippant, I’d say it would be for God/ the gods to decide whether I was communicating with Him/ Her/ It/ them. Meditation is my way of coming to peace with my surroundings and with the people in them. I suppose if you believe in God or gods, you might say that peace of that sort can only go so far before it becomes a self-conscious relationship with the divine. I don’t know whether that’s true, but if it is I can say that I haven’t gone that far yet. Very Quakery! I hope you are eventually able to internalize what you perceive as god/gods if that will bring you peace. Very interesting ideas. Language gives form, definition, concreteness to ideas, and sometimes in that process it limits them. This can be a good and useful thing at times. When I am stressed, perhaps fearful or concerned about something, I find that articulating those stresses or fears puts me in control. I have given shape and scope to the amorphous and often consuming issues at hand, and then I am better able to deal with them. They have a name. The name is a shorthand for my internal narrative of the issues. I can refer to them using the shorthand name, instead of reexperiencing the ineffable emotional wave. Naming gives control. In Old Testament, Adam is given dominion over Eden by naming everything in the Garden. So I think there’s quite a bit of precedent for the idea that language confers control. The man’s meditative exercise of using imagery without language is sort of the reverse process. Often, giving up control is a relief. It’s letting go, and allowing someone/something else to mind the store. In the religious application of this, it allows the Higher Power to take over. In the psychological application, it changes a person’s reaction to a situation. I can’t change the person/issue/whatever, but I can change how I react to it. It may lead to acceptance; I can’t fight the situation, I can only change how I deal with it, I can accept, let go, move on, and live. Either the religious or psychological application of imagery without language puts the person at ease, at peace. Thanks very much, Hairball! You’ve helped to clarify a number of things I was trying to express. This was something I intellectualized as a child, but have only recently begun to internalize and use. It’s quite a powerful liberator.